The Chinese decision that has reportedly led to the suspension of funding for three major road projects valued at a total of $850 million – the upgrading of the Dera Ismail Khan-Zhob motorway and the Karakorum highway as well as construction of a 110-kilometre road linking Khuzdar and Basima – suggests that Beijing is not averse to exploiting its massive investment in the Belt and Road, an effort to link Eurasian infrastructure to China, to shape the political environment in key countries in its authoritarian mould. The suspension of funding coincided with apparent efforts by the military to increase its political sway by supporting militant and hard-line Sunni Muslim groups opposed to the ruling Pakistan Muslim League (N) headed by disgraced former prime minister Nawaz Sharif. Former Pakistani strongman General Pervez Musharraf, in the latest manifestation of links between the circles close to the military and hardliners, announced earlier this month that he was discussing an alliance with Milli Muslim League (MML). MML was recently established by Hafiz Muhammad Saeed, who was designated a terrorist by the United Nations and the US Justice Department that put a $10 million bounty on his head and stands accused of having masterminded the 2008 attacks in Mumbai in which 164 people were killed. Parallel to Mr. Musharraf’s endorsement of LeT, the military displayed its political influence by mediating an end to a weeks-long blockade of a main artery leading into Islamabad to protest a perceived softening of the government’s adherence to Islam in a proposed piece of legislation. The suspension was projected as an effort to avoid corruption in CPEC in the wake of Mr. Sharif’s ousting as prime minister after documents leaked from a Panama law firm linked his children to offshore companies and assets. Long viewed as a nemesis of the military, Mr. Sharif demise served the interests of the armed forces. Chinese backing for a more prominent role of the military in economic and political life comes amid increased Pakistani scrutiny of CPEC. In a rare challenging of Chinese commercial terms, Pakistan recently withdrew from a Chinese-funded dam-building project. “Beijing is keen to give the Pakistani Army the lead role in the CPEC projects as Pakistani ministries charged with carrying out the projects have incurred delays because of infighting. 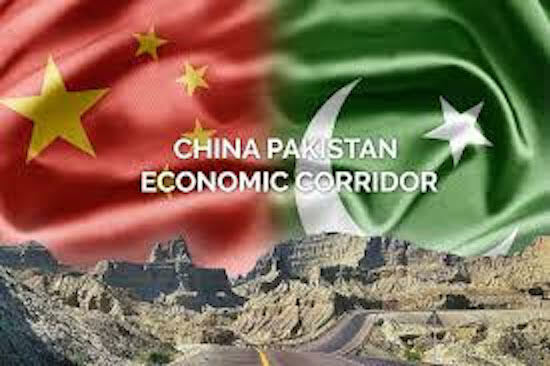 Concerns that the project bypasses Pakistan’s poorer regions and will mainly benefit the financially-strong province of Punjab has made politicians argue with regards to the benefits of CPEC… The Chinese are not used to such harsh disagreements,” the European Foundation for South Asian Studies (EFSAS) said in a commentary.